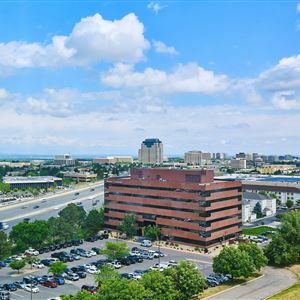 Property Location When you stay at Sheraton Denver Tech Center Hotel in Greenwood Village, you'll be in the business district and convenient to Fiddler's Green Amphitheatre and Lollipop Park. This hotel is within close proximity of Park Meadows Mall and Lone Tree Brewing Company. Rooms Make yourself at home in one of the 263 air-conditioned rooms featuring flat-screen televisions. Your room comes with a pillowtop bed. Cable programming provides entertainment, and wired and wireless Internet access is available for a surcharge. Private bathrooms with shower/tub combinations feature complimentary toiletries and hair dryers. Amenities Don't miss out on recreational opportunities including a 24-hour health club and an outdoor pool. This hotel also features wireless Internet access (surcharge), concierge services, and gift shops/newsstands. Guests can catch a ride on the complimentary shuttle, which operates within 5 mi. Dining Satisfy your appetite at the hotel's restaurant, which serves breakfast, lunch, and dinner. Dining is also available at a coffee shop/café, and room service (during limited hours) is provided. Quench your thirst with your favorite drink at a bar/lounge. Business, Other Amenities Featured amenities include wired Internet access (surcharge), a 24-hour business center, and express check-in. Event facilities at this hotel consist of conference space and meeting rooms. Free self parking is available onsite. 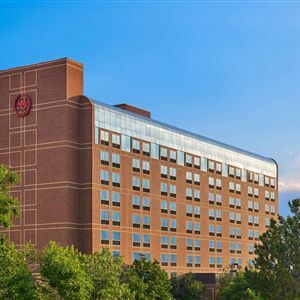 When you stay at Sheraton Denver Tech Center Hotel in Greenwood Village, you'll be in the business district and convenient to Fiddler's Green Amphitheatre and Lollipop Park. This hotel is within close proximity of Park Meadows Mall and Lone Tree Brewing Company. Make yourself at home in one of the 263 air-conditioned rooms featuring flat-screen televisions. Your room comes with a pillowtop bed. Cable programming provides entertainment, and wired and wireless Internet access is available for a surcharge. Private bathrooms with shower/tub combinations feature complimentary toiletries and hair dryers. Don't miss out on recreational opportunities including a 24-hour health club and an outdoor pool. This hotel also features wireless Internet access (surcharge), concierge services, and gift shops/newsstands. Guests can catch a ride on the complimentary shuttle, which operates within 5 mi. Featured amenities include wired Internet access (surcharge), a 24-hour business center, and express check-in. Event facilities at this hotel consist of conference space and meeting rooms. Free self parking is available onsite.